Last week’s Texas Tribune interview with Texas A&M University Chancellor John Sharp was full of sharp-tongued, witty sound bites but lacking in facts. The Hurricane Harvey recovery czar mischaracterized the insurance industry’s response to catastrophes. Insurers are proud of our track-record in Texas. We are and will continue to be there for Texas policyholders as they recover from Hurricane Harvey. First, private insurer claims settlements are never contingent on the FEMA emergency assistance a consumer may receive from uninsured flood damage. A flood insurance policy amount is only relevant when there is a dispute over the percentage of a claim that is caused by flooding versus wind-driven water. Chancellor Sharp may have been confused by previous FEMA practices. In prior years, if you were applying for FEMA emergency assistance, you had to prove that you did not have adequate insurance coverage for your losses. This previously slowed down the recovery process, which is why insurers pushed for FEMA to waive that requirement so policyholders would get their checks more quickly. Today, if you only have homeowners insurance — but sustain flood damage that is not covered — you are no longer required to submit insurance coverage denial documentation to receive FEMA rental assistance or financial assistance. It is important, however, to note that Americans remain woefully underinsured and vulnerable to the devastation that flooding can bring. Home and business owners are strongly encouraged to talk to their insurance agents and carriers about their policy and coverage limits. Insurers and policymakers need to work together to spread more awareness about the need for adequate flood insurance coverage. Standard homeowners policies do not cover flooding. Separate policies must be purchased through FEMA’s National Flood Insurance Program (NFIP). FEMA emergency assistance is available for storm victims who lack appropriate insurance coverage, but it is usually provided in the form of loans. Congress is currently considering legislation to provide for more private insurance sector options for flood insurance as a way to expand flood coverage. Importantly, insurers are working around the clock to help policyholders begin the rebuilding process not only in Texas, but in Louisiana, Florida, Georgia, South Carolina and Puerto Rico after three devastating storms hit within weeks of each other. While residents with damages may need to exercise additional patience as adjusters are facing an extreme volume of claims, that doesn’t mean insurers are not working diligently to get checks in policyholders’ hands. 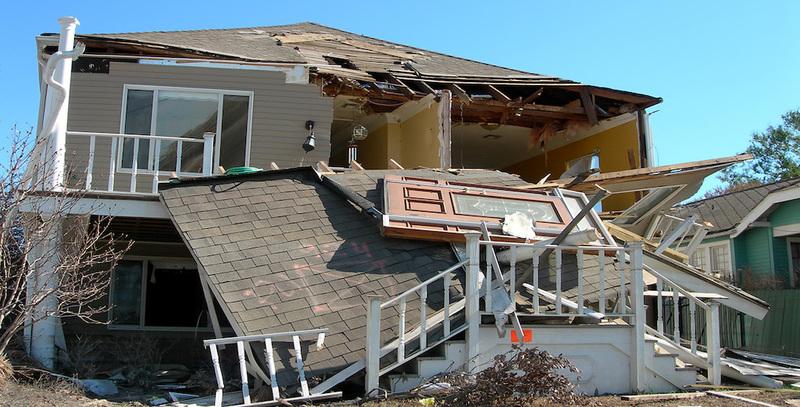 In the case of wind damage, which is covered by homeowners policies, many homeowners already have checks in their hands and the rebuilding process has begun. Insured loss estimates for Hurricane Harvey are between $25-35 billion, maybe even more. Full Texas claims data from the industry will not be available until early November, but the Texas Windstorm Insurance Association (TWIA) released new Harvey claims data, as of October 1. TWIA provides windstorm coverage for all fourteen coastal counties and a portion of Harris County. In those 14 counties TWIA writes 64 percent of the market. So far, they have opened 67,960 claims and have closed 24,854 — or 36 percent of those claims. That’s proof that the state’s largest writer for wind coverage is making great progress. They have already paid out more than $291 million to policyholders and will likely pay another $300 million on remaining claims. TWIA, like the rest of the insurance industry, is writing checks every day. It’s not just Hurricane Harvey; insurers consistently deliver on their promises to policyholders after even the worst catastrophes. In 2005, insurance policyholders filed more than 3 million claims across six states following Hurricanes Katrina, Rita and Wilma. Approximately 1.7 million of those were from Hurricane Katrina alone, which resulted in insured losses of $41 billion. Within one year, 98 percent of claims were settled. In addition, fewer than two percent of Katrina claims were the subject of mediation or litigation. Our priority is putting checks into the hands of consumers, rebuilding homes and businesses, and getting cars back on the road. Recovery czar Sharp would better serve the recovery process by working with insurers to address issues that arise, instead of attacking the very industry that is there whenever disaster strikes to help families and businesses recover.